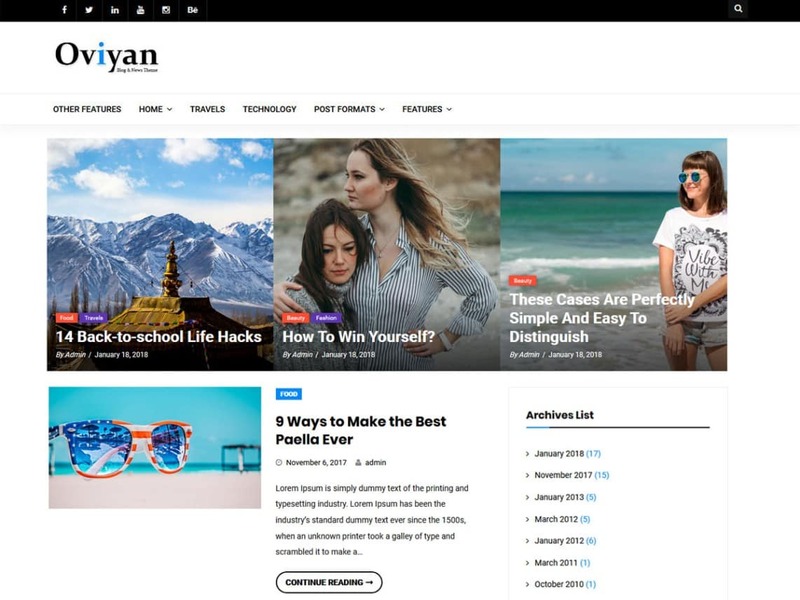 Oviyan Lite is a beautiful WordPress blog theme for blogs website. Oviyan lite theme having 4 layouts (Grid, List, List Alternate and Masonry) and 1 design for each layout. Theme is lightweight, fast and optimized for all mobile phones.